Maritime Union of New Zealand National Secretary Joe Fleetwood says Helen Kelly was a great friend to maritime workers and all New Zealand workers. 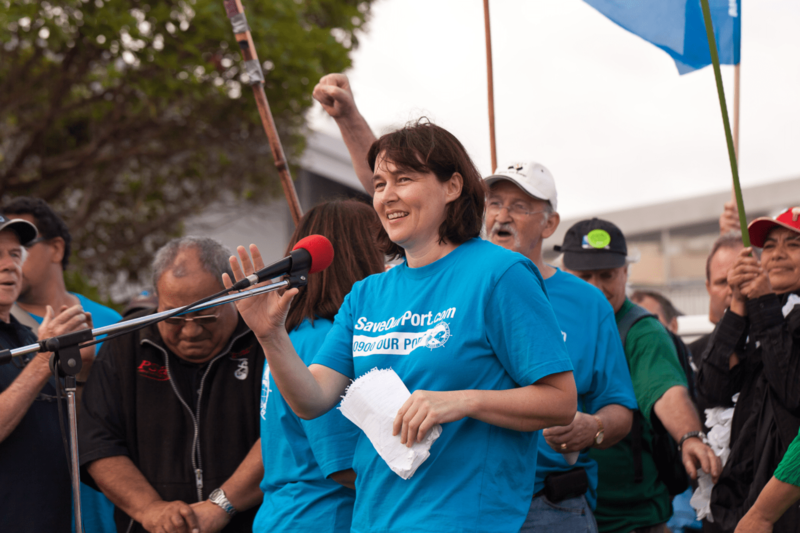 Helen Kelly had supported maritime workers strongly in various industrial struggles in her time as President of the New Zealand Council of Trade Unions. Even after her retirement from that position after her diagnosis with cancer, she had continued to work for the betterment of her fellow New Zealanders, supporting many causes including the medicinal use of cannabis. Mr Fleetwood says the death of Helen Kelly at a young age was very sad but she had packed in several lifetimes of achievement. Her advocacy for workplace health and safety, and secure jobs, was a great testament to a outstanding working class leader, he says. A memorial book will be at the National Office of the Maritime Union, Level One, Waterfront House, 220 Willis Street, from Monday 17 October, which all members and friends are invited to sign as a mark of respect for a wonderful human being and champion of the New Zealand working class.